If you’re a first-time robot user, how can you get started? How do you get from your initial idea to a productive, working robot? And if you’ve already got a few robotic deployments under your belt, how can you scale up your robotics efforts throughout your factory—or across multiple factories? The answers can be found in lean robotics: a methodology for simplifying robotic cell deployments. Lean robotics is a systematic way to complete the robotic cell deployment cycle, from design to integration and operation. It will empower your team to deploy robots quicker and more efficiently than ever before. This book is the result of Bouchard’s decade of experience at Robotiq. The Robotiq team has helped thousands of manufacturers overcome manufacturing challenges using robots: from car component makers to electronics contract manufacturing firms; from first-time robot users to robotic experts looking at new ways to automate; and from Fortune 500 companies to family-owned machine shops. 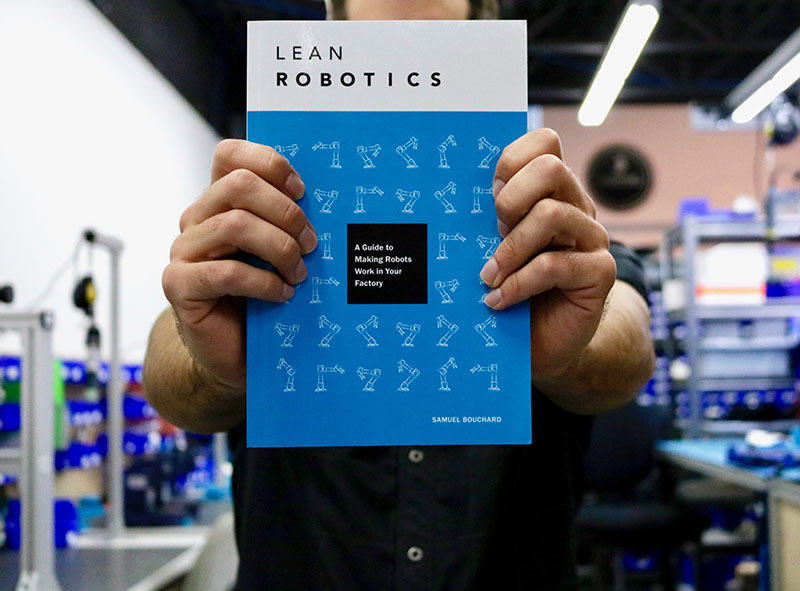 Whether you’re a manufacturing manager or engineer, if you’re ready to make robots work for you, this book will show you how. When theyre gone, theyre gone.